Off-White and Nike joined forces last year to create one of the most sought-after sneaker collections ever. After it’s release, rumors spread of a second part of the pack for 2018. 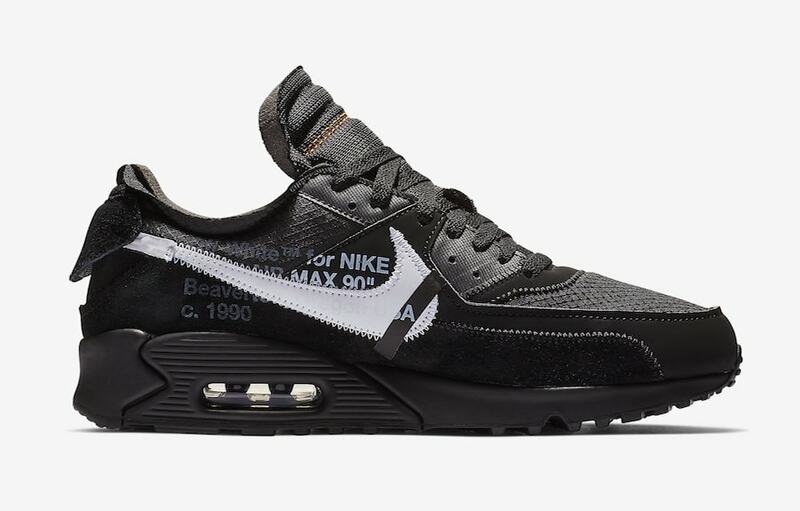 The rumors proved to be true, and now a black Air Max 90 has joined its ranks. 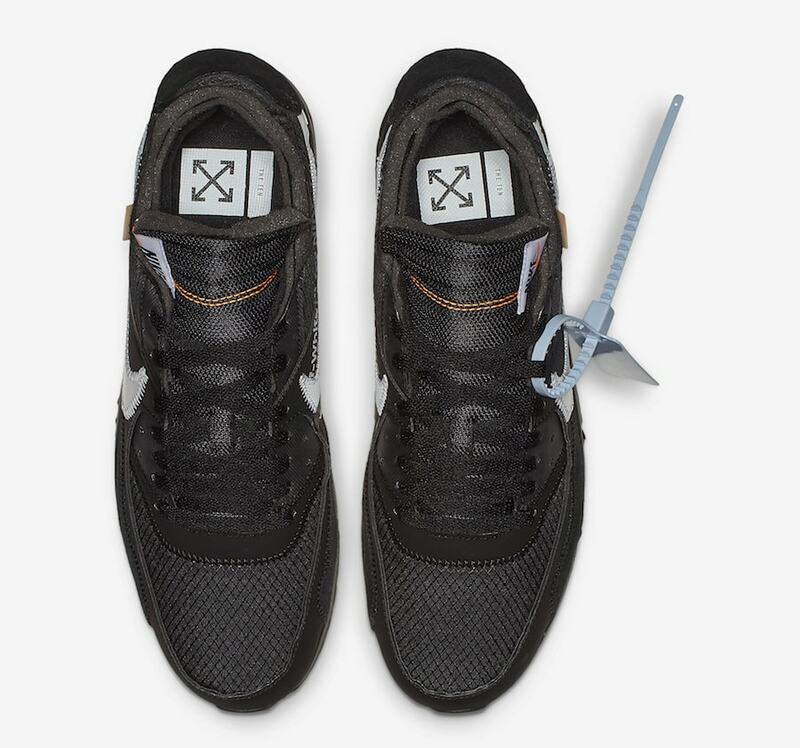 Off-White is gearing up to release the second part of their collection with Nike for 2018. Currently referred to as “The Ten: Part 2”, the pack has so far included a white Air Jordan 1, and two matching colorways of another Nike Vapormax which are set to release later this month. 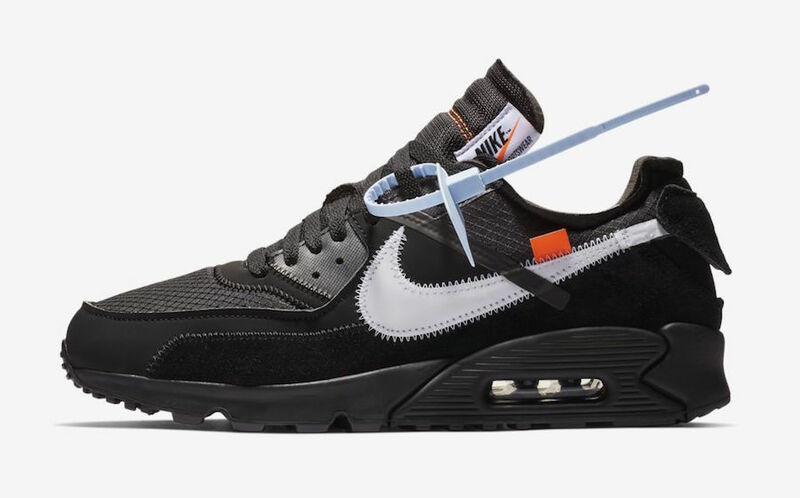 However, a recent leak online has reported that part two will also include another colorway of the Off-White x Nike Air Max 90, this time in all-black. The new version will feature the same construction as last year’s white pair, though with a new color blocking. Almost the entire body of the shoe will be black, save for white laces, a large Swoosh, and the signature Nike Air tag on the tongue. This week, our friend SolebyJC has blessed the timeline with his signature on-foot photos of the sleek new look. Make sure to check out his page for all the latest looks at upcoming sneaker releases. 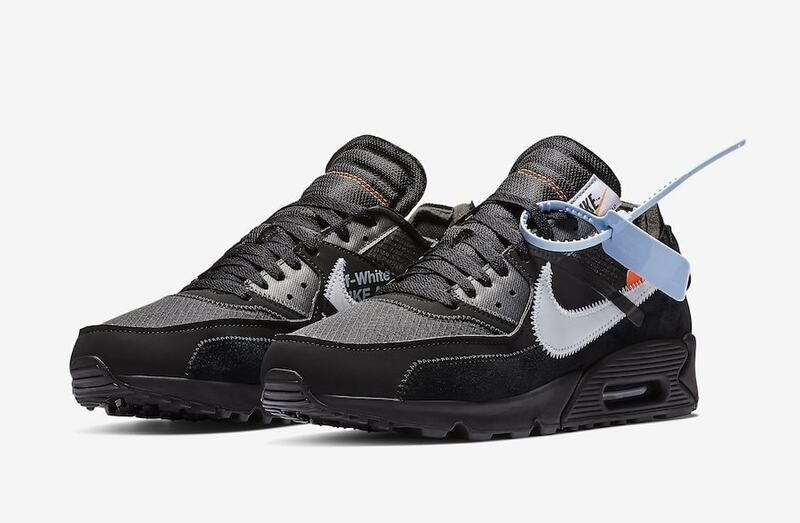 The next Off-White x Nike Air Max 90 Low in both black and desert ore have been preemptively scheduled for January 17th, 2019. Both pairs will retail for the usual $160, and likely release from both Nike and select retailers. 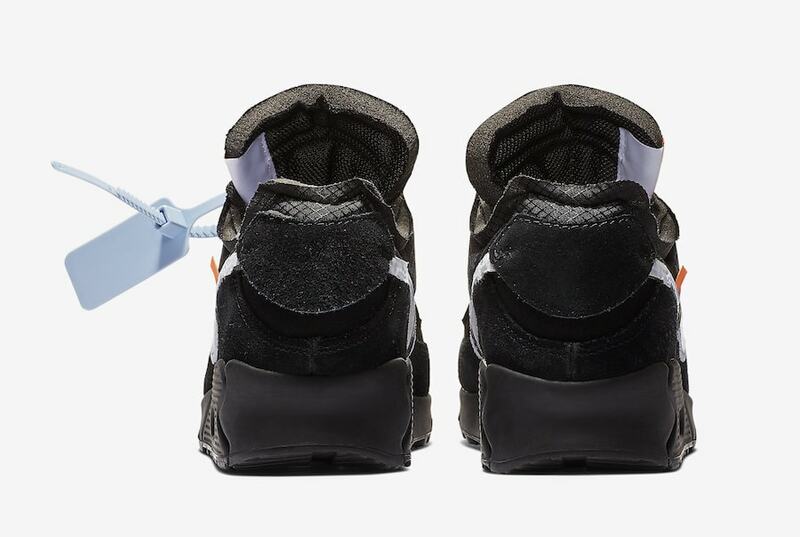 Check out the early images below for a better look at the new colorway, and stay tuned to JustFreshKicks for more Off-White x Nike.